Motivation is one of the keys in getting your vision executed by your team. If you motivate with the power of your vision alone, it doesn’t go far. Take for example His Highness Sheikh Mohammed Bin Rashid Al Maktoum, his vision is clear but so is his passion. His passion was perfectly duplicated by Mahra Ahmad Al Shehi, six years old Emirati girl who Shaikh Mohammed called the “queen of children”. It is clear that to achieve something big and meaningful, you must have a vision, but you must also have passion of delivery. If you have these two, you are starting strong but when you add in compelling logic and valuable incentives – the chances of your team following you to the fulfilling end are high. I am no His Highness Sheikh Mohammed Bin Rashid Al Maktoum, His Highness is creating a model city for the world to learn from and his team is following him to the end of the world. With me, what MBA books teach you and practical experience I gained, was getting all of us to work at only a certain level. My team was burning out, they were getting tired and I was feeling the pinch. I had tried what was offered in the stacks of idealistic leadership books and it was almost short. Just few weeks away and my team including myself had faces longer than Burj Khalifa. Don’t take me wrong, things were coming along but we wanted more. Exhorting myself to follow His Highness Sheikh Mohammed Bin Rashid Al Maktoum footsteps, imbued me with little more than a sense of guilt and inadequacy – those are big shoes to fill. You will not even imagine what happened the next day. It took my team’s motivation and focus towards the Fitness Expo Dubai to a whole new level. Every day after that, we would work hours we never worked before and the momentum started to take a whole new shape. I thought we uncovered the secret rule of blue ocean, stretching limits and pushing boundaries. You might think I woke up the next morning and gave everyone an incentive unheard of but I didn’t. Research and my own experience in running companies suggests that external incentives—be they pep talks (I had given my share of it), wads of cash (bonus plan), or even the threat of consequences (you don’t do this, you are going home) — have limited impact. 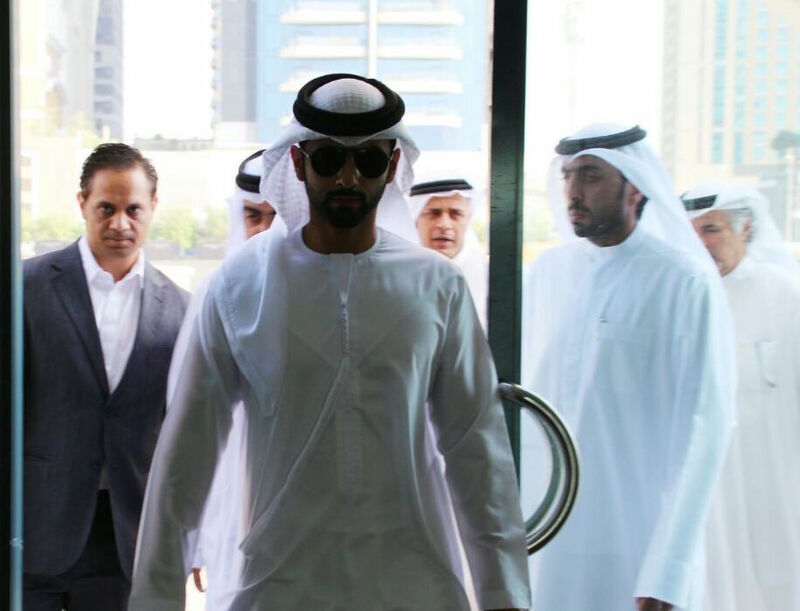 The very next morning, we had a surprise visit from His Highness Sheikh Mansoor bin Mohammed bin Rashid Al Maktoum. And when he left, Azim who always leaves for home on the dot was the first to say, “guys, we need to do more”. I agreed immediately and collectively we decided that when he comes next, we need to be at much higher level. We had no clue when His Highness will come next but that one visit made the entire team behind the expo much better. We worked day in day out and pushed our boundaries. There were days, we did not go home and there were other days we had meetings even at 4am. We decided to create a much tougher road map and Nov 02, 2016 was our exhibitors day. The room was full of those who are coming to the Fitness Expo Dubai to provide valuable advice, products and services to the residents of Dubai (I am grateful for all of them coming) but the highlight was already had. The morning of the exhibitors day, His Highness Sheikh Mansoor bin Mohammed bin Rashid Al Maktoum dropped by again and once again, the entire team feels we need to do more. I wanted to show him the amazing 3D video created by our one person 3D video team, the “National Sports Day” push devised by our marketing team and the “Game of thrones” presentation by our design team but now everyone wants to do more. HH Sheikh Mansoor bin Mohammed bin Rashid Al Maktoum’s first visit gave us the second wind and his Nov 2nd visit gave us the third. Thank you Mansoor bin Mohammed Almaktoum for all you have done for us.